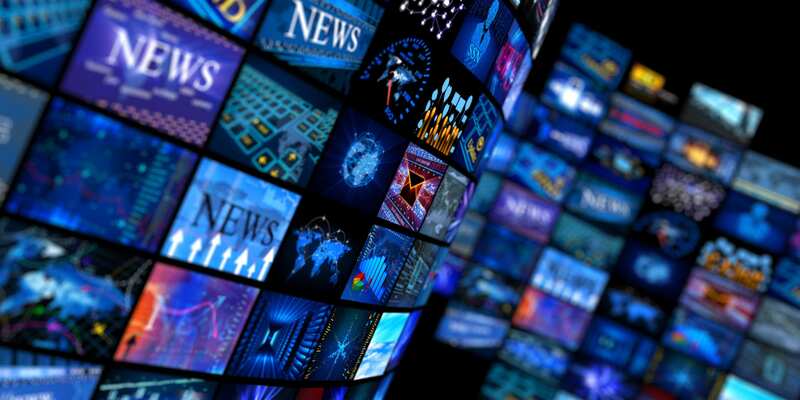 The adoption of analytics, machine learning and related tech in media and entertainment industry has made the industry more viewer-specific and has resulted in a better content generation, among various other benefits. Analytics India Magazine got in touch with the head of business intelligence in one of the biggest media companies — Star India. Guruprasad Mandrawadkar has been leading key end to end engagements in the industry, right from strategic technology consulting to architecture design and taking care of complex implementations to support business. With over 18 years of experience, he is a pioneer in data warehousing, analytics and big data among others. He has led several teams, providing expert inputs for building strategy and roadmaps in various companies. 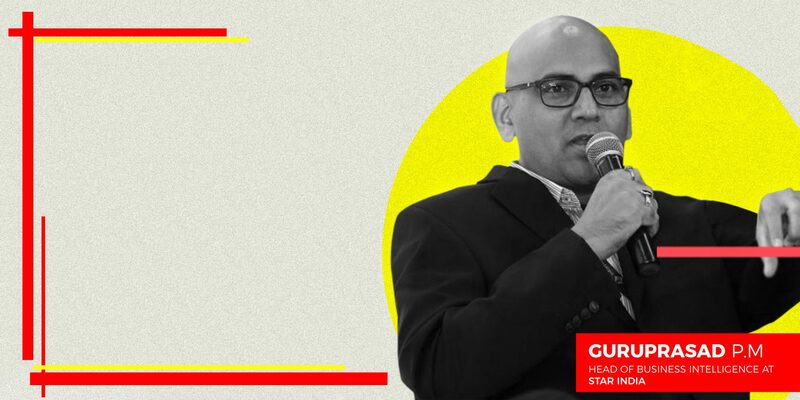 While he refused to share company-specific details, he spoke to us in length about the adoption of data analytics in media and entertainment industry, the importance of adopting customer analytics, challenges in its adoption among others. Guruprasad Mandrawadkar: Within the traditional linear channel, analytics has been widely used for understanding the viewership patterns, mining the rich datasets (provided by BARC for India markets) for understanding advertiser preference, optimising content scheduling and generating insights into what content is working in what segment. Some of the widely adopted use cases of analytics for OTT platforms are NBO (Next Best Offers aka recommendation engines), NBA (Next Best Action), targeted advertising, customer behaviour understanding and sentiment analytics. While some of the other use cases are in understanding customer journey across the value chain of movie production and in trailer production. For instance, the trailer for the movie Morgan was created using AI. Over 100 horror and thriller film trailers were analysed to understand what background sounds should be used and what character emotions to incorporate. The analytics was focussed on looking at musical scores, the emotions in certain scenes (indicated by people’s faces, colour grading, and the objects shown), and the traditional order and composition of scenes in movie trailers. After analysing that, the engine chose the best 10 moments that can be considered for a trailer. The entire proves cut short the time and labour involved in the trailer-making process down from 10-30 days to 24 hours. AIM: Would you like to share a specific use case where consumer insights played a role — for instance, in marketing or personalising? GM: Data-driven media and entertainment production houses are using big data and analytics platforms to boost media presence and digital marketing initiatives. The use of analytics can help media companies to solve the questions around tracking user clicks, user reviews, broadcasts and user shares, trailer success, reach of teasers across devices and media types. These contain information which when managed effectively can drive content optimisation. Marketing teams can use analytics platform to understand the campaign health and track what campaign channel is working better over the other. Movie production houses are trying to mine the customer journey across the value chain of the movie production. AIM: What is the role of customer analytics for improving business outcomes in the entertainment sector? GM: For an entertainment industry, customers are the advertisers who would advertise on the platform/channel. Here the industry can tap into the rich datasets provided by BARC, which provides information of GRP concentration of advertisers across networks across genres. What Brand is advertised on what network and on what channel can also be used to target customer? AIM: What are the core focus areas of analytics and BI head in the media industry? GM: As the technology has evolved rapidly over the past 2 to 3 years, BI head need to prepare the organisation for upcoming disruptions and understand what key technology capability need to be implemented for migrating to the modern BI platform. A modern BI platform would include implementing key capability revolving around NLP, NLG, Data Preparation, building a Data Science Lab and another analytical capability. The current technology offerings are ripe for experimenting with schema-on-read capabilities where the existence of schema is no longer a necessity for doing an exploratory analysis. Augmented BI is the next cornerstone in building a modern BI landscape. AIM: How has been your journey in analytics so far? What are the various solutions in analytics, BI and big data that you have worked on? GM: Personally, outside of Star I was involved in multiple major big data and analytics deliveries. One was building a fraud model for a general insurance company in India. This required sifting through large sets of claims data to identify what claim is genuine and what is a fraud. The second major experience was running the analytics roadmap and framework proposition for a bank. While I was working at Teradata almost six years back, big data analytics was beginning to emerge as a leading technology solution. People were trying to experiment with Hadoop on one hand but did not have the large-scale expertise on the other hand. AIM: How has been the growth story of the adoption of analytics and AI in the entertainment industry? Content: Film scheduling on TV is done based on viewership ratings KPI’s and digital uptake by millennia is determining which films to invest in for OTT platforms. Engaging Audience: Sports broadcast programs are now using real-time analytics and animation to play out what-if scenarios to engage audiences, and social media analytics to gauge their sentiment. During the last IPL, one of the leading digital services organisation has engaged with cricket enthusiasts in major metros by providing live match simulation using virtual reality. Team Royal Challengers Bangalore (RCB) has launched its own viewer interactive system “RCB Bold Bot,” an AI-enabled application with chatbot system to enhance viewer’s engagement experience, among others. AIM: How does analytics help compete with other players in the space? GM: Social media analytics can be used by movie production houses to predict the optimal release date for a movie, what content will work for a movie success, what content to select while promoting a trailer. Also, industry can use data collected from social media channels, to gauge expectations of the target audience and the content buzz towards the movie. For example, in the US, ‘Cats & Dogs’ and ‘America’s Sweethearts’ were scheduled to be released on the same date of July 04, 2001. To avoid competition, ‘America’s Sweethearts’ was moved forward by a week to July 13, 2001, but soon a new entrant, ‘Legally Blonde’ was announced to be released on July 13, 2001. AIM: What are the challenges you face being at analytics forefront? GM: The biggest challenge is getting the right staffing mix. Secondly, the technology is changing so fast that the tools that we are using for building analytics solutions will soon be overwritten to perform Augmented Analytics. Where to make the right investments will also be a key concern. Is The Government’s Use Of Facial Recognition Ethical?